‘Cycling the Pacific Coast’ is new from Mountaineers Books and Seattle rider/writer Bill Thorness. Some people have always wanted to hike the Pacific Crest Trail between Canada and Mexico. Others have always wanted to bike that coast. 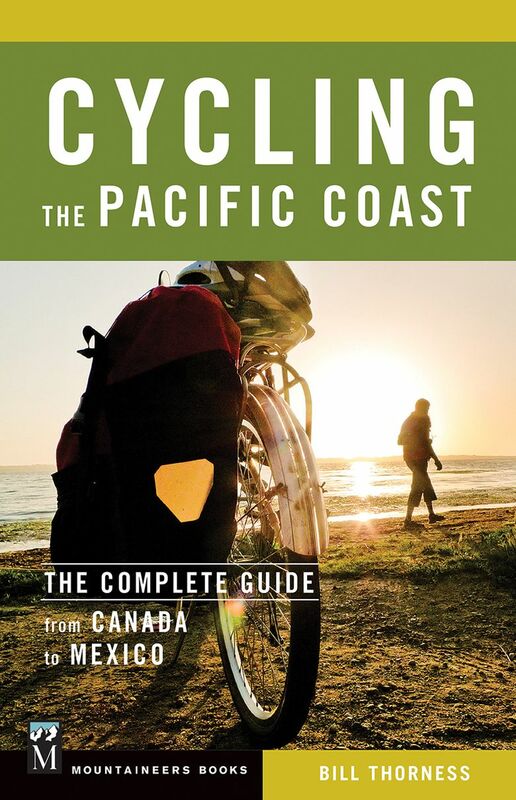 Author Bill Thorness will launch sales of his guidebook and present a slide show about cycling the Pacific Coast; 7 p.m. Wednesday, Nov. 15, with snacks, Flying Bike beer, and prizes. Cascade Bicycle Club education room, 7787 62nd Ave. N.E., Seattle. Thorness freelances occasionally for The Seattle Times travel and outdoors pages. If he has any say in it, the story will have something to do with cycling; he’s a local authority. Previously the author of Mountaineers Books’ “Biking Puget Sound,” Thorness’ mind for detail and eye for what’s best about the West makes him an adviser you can trust as you venture two-wheeled out on the sometimes perilous but frequently rewarding tour of coastal byways. He calls it an epic ride, and offers 16 degrees of “epic-ness.” “Epic is mile after mile of glittering coastline, silver waters sparkling like sequins on the dress of a shimmying dancer,” for example. One nit to pick with his editors: With so much color on this coast, it’s a puzzling choice to put 16 pages of color photos at the book’s front while restricting the remaining 332 pages to black and white. That aside, they win points for helpful maps, and Thorness’ detailed mileage logs make sure you don’t get lost. He has the foresight to let travelers be tourists on occasion, such as with side trips into Russian River Wine Country and helpful “city tours,” ranging from Vancouver, B.C., to San Diego.